Modernized Hidden Leaf Village stage also announced. Bandai Namco will host a second open beta for Naruto to Boruto: Shinobi Striker on PlayStation 4 from late July into early August, the company announced. 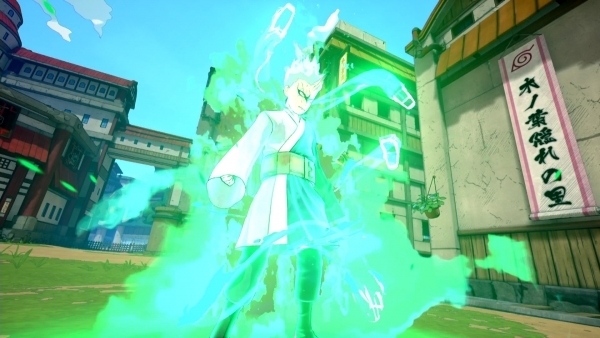 Players can look forward to two new playable characters: Sarada and Mitsuki. Sarada is a good fit for every 4-player-team since she can heal her teammates while attacking the enemies with the Uchiha Shuriken Jutsu Spring Storm. Mitsuki is more of a defensive type of character. His Sage Mode allows him to rise all of his abilities but he will not be able to use Ninjutsu at the same time. In addition to these two new playable characters, Boruto will also be a new master. He teaches the players everything about Ninjutsu and secret techniques. Lastly, players will be pleased to discover a new stage with the modernized Hidden Leaf Village. This stage is especially suited for beginners and is easy to master. Naruto to Boruto: Shinobi Striker is due out worldwide for PlayStation 4, Xbox One, and PC in 2018. Watch a video message from producer Noriaki Niino below. View a new set of screenshots at the gallery.